Prime Minister Juha Sipilä. File Photo – Lehtikuva. Prime Minister Juha Sipilä on Wednesday expressed hope that the European Union’s extraordinary meeting scheduled for Thursday will bring an agreement as per the British EU demands. 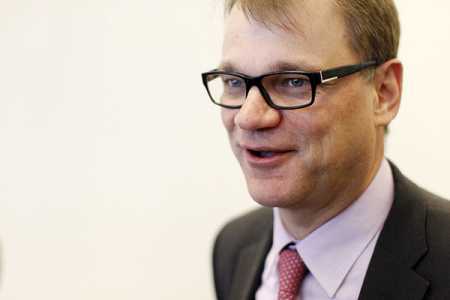 An exit of Britain from the union would be catastrophic, especially economically, said Sipilä. Britain is expected to hold a referendum later to decide whether to remain in the EU. According to Sipilä, there is a risk associated with holding of the referendum since, besides the membership, other issues also affect the voting behaviour. “EU is not falling apart, I believe a settlement will be reached,” Sipilä said. The management of the refugee crisis will also feature on the agenda during the summit. Now is the time to make decisions together since, otherwise, countries will be increasingly making independent decisions, said Sipilä. The prime minister also said the route taken by the asylum seekers may shift towards the country’s eastern border, if crossings via the Balkans are controlled.